Get yourself a 6 Month Trial of Amazon Student Prime for FREE! That means unlimited FREE One-Day Delivery on millions of items. Watch over 15,000 movies and TV episodes with unlimited instant streaming. Secure unlimited photo storage with anywhere access. Listen to over 2 million songs on Prime Music. Desperately need that birthday gift delivered the next day? Want to watch the hottest films and TV shows? With Amazon Prime, you can do all these things. This paid subscription service is offered by Amazon and gives you a range of benefits. Free one-day delivery when you buy certain products, the ability to stream ad-free videos/music and much more. For a monthly or yearly fee, young people can relish in the uses of Amazon Prime! With more than 80 million paying users worldwide, this is one of the most popular ways to stream all your favourite entertainment! 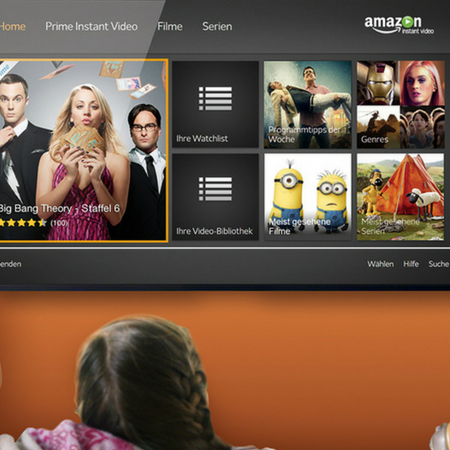 Whether it’s the latest movie releases, best TV box sets or hottest new songs, Amazon Prime allows young people to live in luxury while using services for an affordable cost, which is why they offer student discounts like, a 6-month free trial! Check out other Amazon Prime student deals and voucher codes right here to lower that subscription price! All you need to do is sign up to us for FREE to get instant access to Amazon Prime youth discounts and offers. Exclusively for students, apprentices and those aged 16-26.